IKEA Concept Car A Bad Swedish Joke? 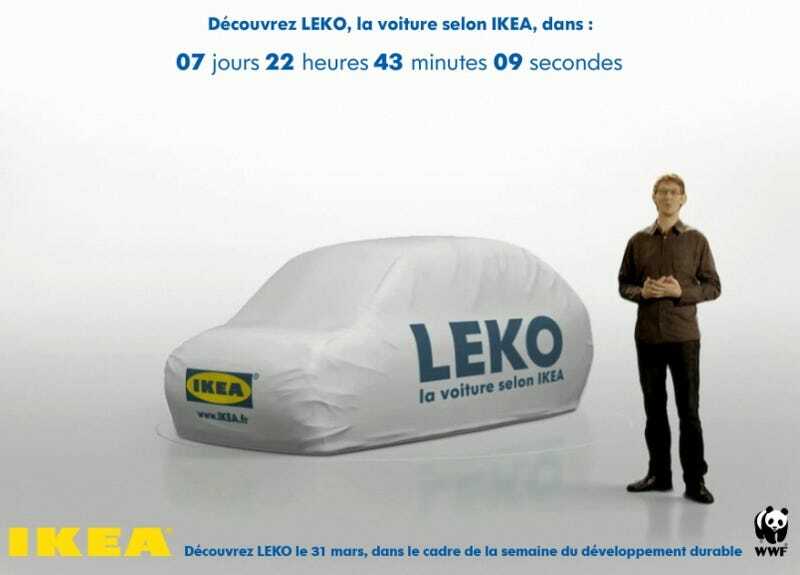 An IKEA car sounds like a joke or marketing stunt, but the quirky Swedish furniture maker's got a website touting the just-moments-before-April 1st unveiling of the IKEA Leko Concept. Yeah, we get it. We're introduced to the car by the car's supposed designer, Christophe Grozs, who extols the virtues of this new environmentally friendly concept car from IKEA. Our French is pretty rusty, but according to the introduction, the car is a modular design which can operate as a coupe or as a convertible, and has the full backing of the World Wildlife Fund France, whatever that means.